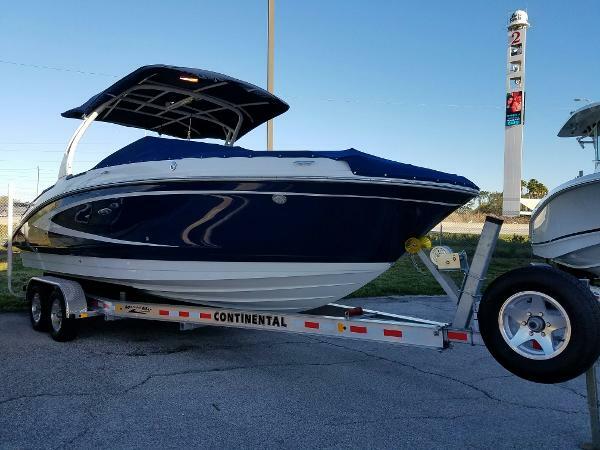 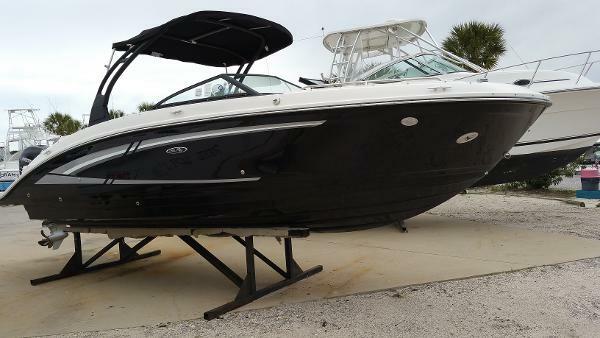 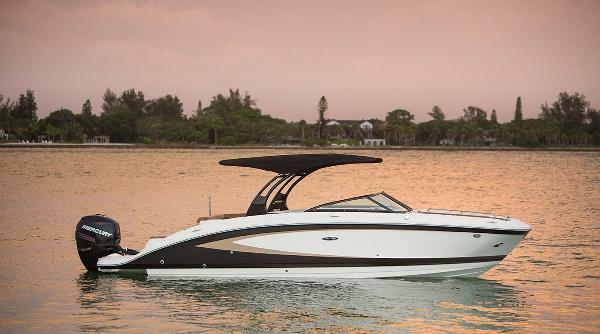 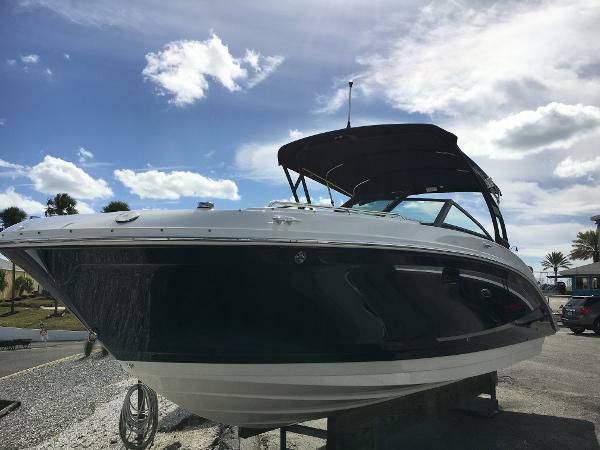 2017 Sea Ray SDX 270 2017 Sea Ray 270 Sundeck, Horizon/White/Sea Ray blue, Black canvas, ECT 8.2 Mag DTS BR3 380 HP, Three color gelcoat, Black rub rail, Pearl mist interior, Mooring cover, Black aluminum arch with bimini canvas, Fender holders, Docking lights, Blue LED lighting package, Digital dash, Transom stereo remote control, Wet bar w/integral sink & faucet, Cockpit coolbox, Infinity woven vinyl cockpit flooring, Vacuum flush head w/holding tank, Head - interior upgrade, Dual batteries with switch, On board battery charger, Auto fire suppression system, Transom trim switch, US flag, Manual submersible swim platform, Faux teak insert on submersible swim platform. 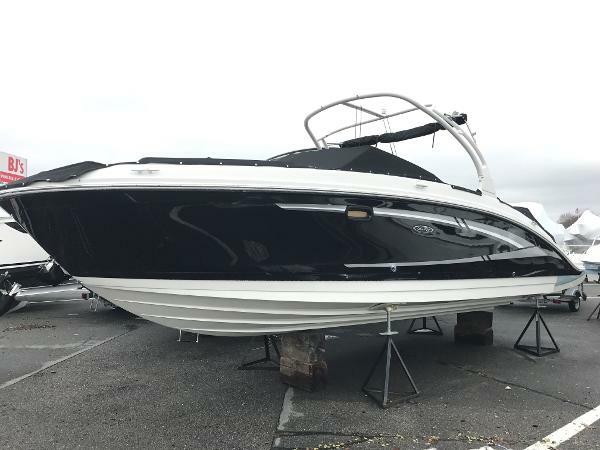 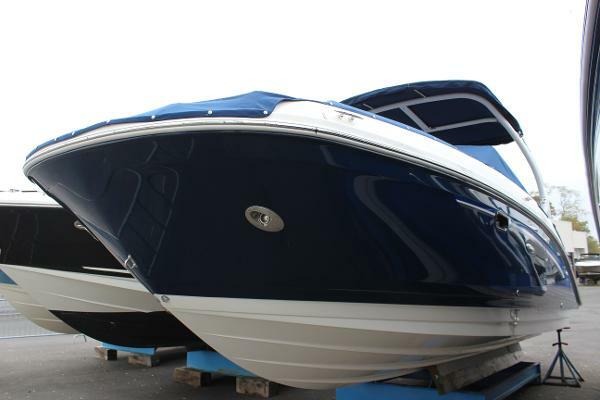 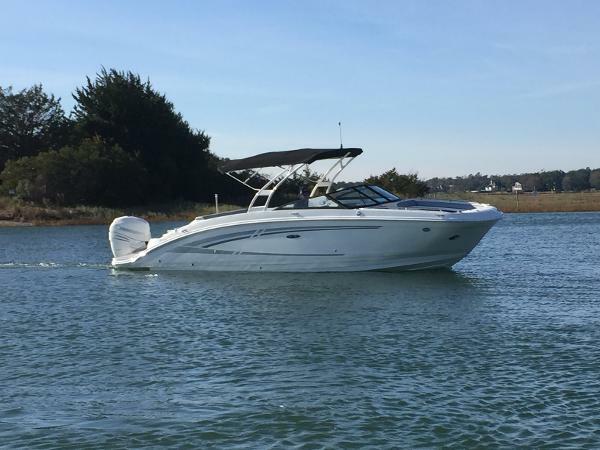 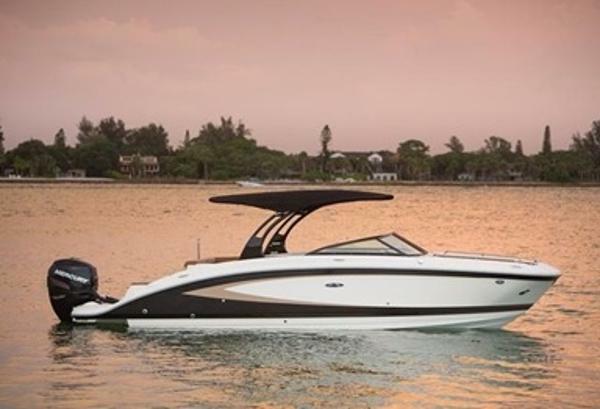 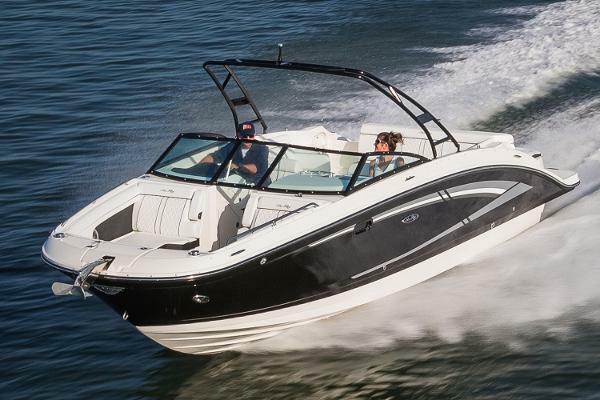 2017 Sea Ray SDX 270, Call for current sale pricing! 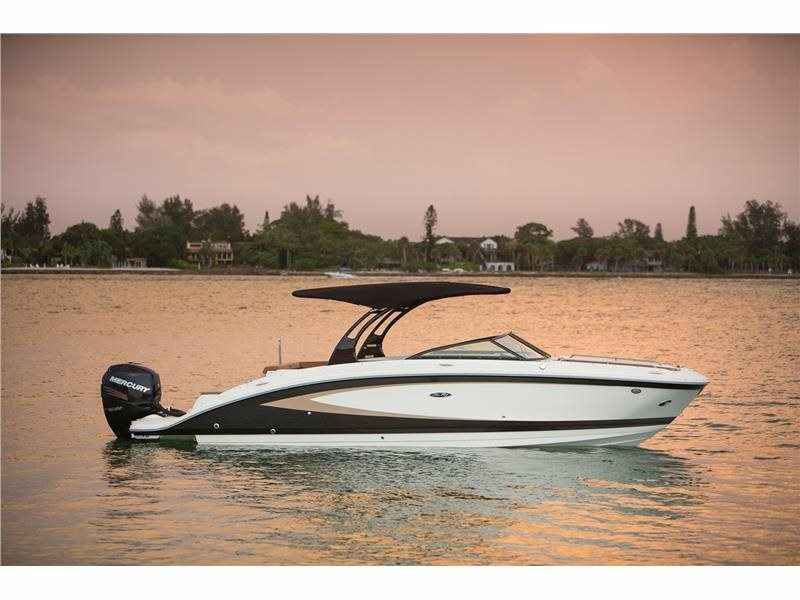 2017 Sea Ray SDX 270 OB The all new 270 Sundeck Outboard, geared for incredible stability, comfort and handling, is taking names and numbers. 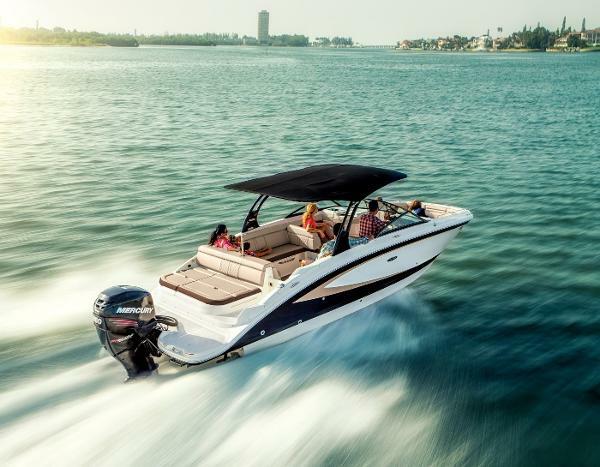 First-rate performance goes hand-in-hand with premium Mercury® Verado outboard technology, as smooth and quiet as it is powerful. 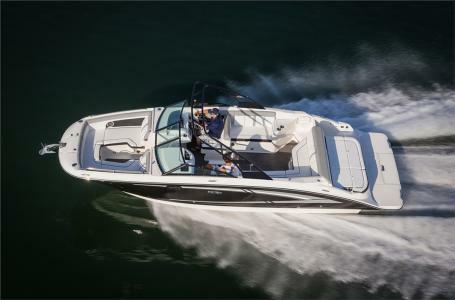 So for passengers of all ages looking to carve wake, catch up with loved ones or simply catch rays, the 270 Sundeck Outboard grabs your attention from go, and will inspire lasting impressions. 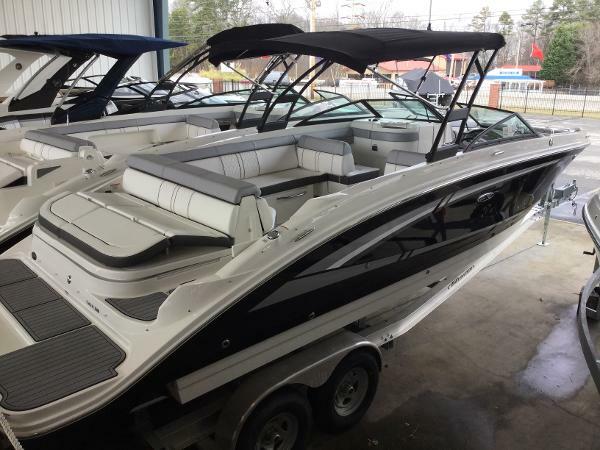 2017 Sea Ray SDX 270, See this boat in our showroom!